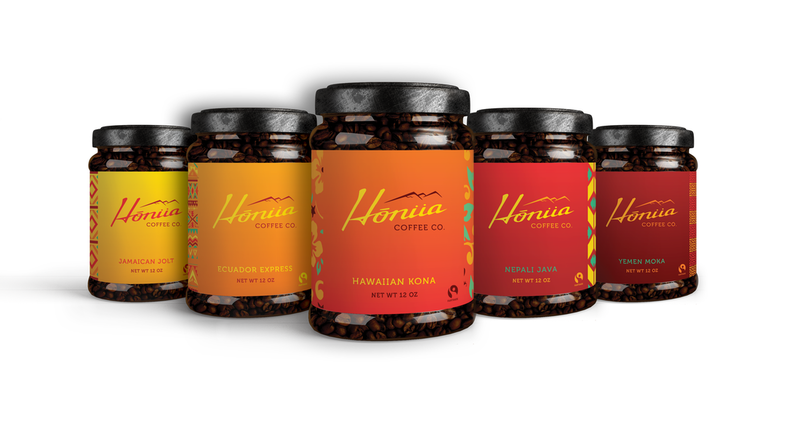 The Honua Coffee Co. brand was created to market a new coffee company to creative professionals. The name of the company, "Honua", is the Hawaiian word for "world", because each blend of coffee comes from a different country. Each package label includes a fabric pattern that is native to its respective country, creating a unique and authentic brand that users can trust. The coffee company is built around a free trade model so that customers know that they are making a sustainable and world friendly choice when they choose Honua Coffee. Check out the packaging and website design below!